We find Finland’s rock foundation to be valuable. Therefore, we recycle and further process the blasted stone obtained during rock mining in to high quality stone aggregate. We provide gravel, crushed stone and sand as well as shaped stone agrregate. In a reliable, ecological and professional manner. 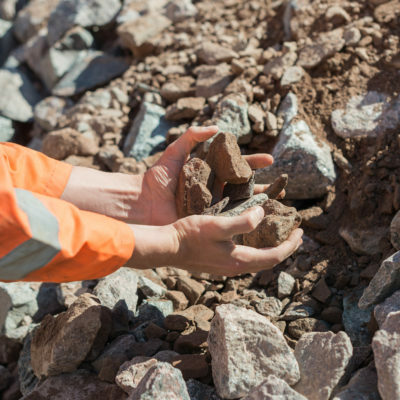 Do you need help in selecting a stone aggregate or amount? 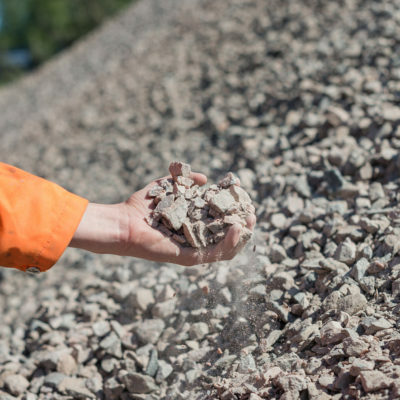 Did you know that all our stone crushing equipment is new and use electrical energy? In addition, all conveyors are covered and the watering system ensures dust prevention. We make choices in favour of the local environment – we minimise noise, the spreading of dust and environmental risks. 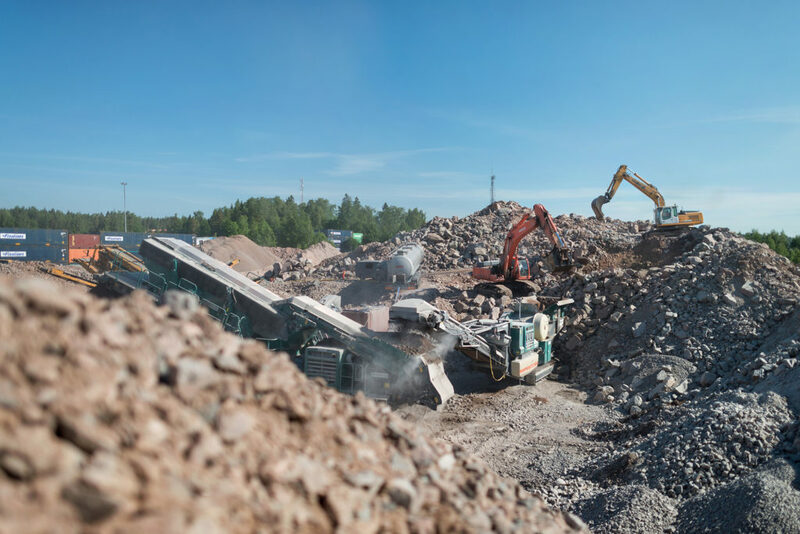 We do not damage Finland’s valuable rock for our products, but instead we further process the stone aggregate produced in other construction, such as in metro tunnel blasting. We only use wind power for crushing. We recycle, only use renewable energy and ensure that our activities cause the smallest possible carbon footprint. Correct, quality materials in the right order ensure a successful end result. We have worked among infrastructure construction and stone aggregates for decades. We are familiar with the Finnish soil and seasons. We know how to build in a sustainable and smart manner, while taking the nature of the soil in to account. Crushed rock aggregates are load-bearing and well-consolidating stone aggregates. Crushed stone is used for foundation layers, structural layer and also a surface material. Rubble is a coarse stone aggregate which is lacking the zero ingredient, i.e. the finest ingredient completely. Thus, water penetrates rubble well and lets the ground breathe. What stone aggregate do I need? What stone aggregate do I need? How much? How do I build a ground structure that can withstand time and natural conditions? These and other questions related to infrastructure construction and the selection of stone aggregates shall be answered by our experts. Are you an infrastructure construction professional and you already know what stone aggregate you need? Request a quote from us or call us! Please contact us about delivery times or collection either by calling +358 50 477 4772 or sending a message with the contact form. We mainly sell and deliver vehicle loads. Small deliveries must be separately agreed with sales. Our collection point is located alongside excellent transport connections, along Ring Road III and Turku Highway, in Lommilanrinne. The collection point is open during weekdays, from Monday to Friday at 7am – 6pm or per agreement. Do you need contact details with you at the construction site?